Hallowe'en fun on CBC Radio One... aliens and monsters and ghosts, Oh my! 9) It's a family friendly event - bring your kids! Show starts 6:45pm on Halloween night. I received a query from a news reporter today, asking whether I had heard about a crashed UFO near Steinbach, Manitoba, in November of 2006. It seemed like the type of thing I would have known about. The source of his information was someone’s post to another UFO blog which published his or her entire email and asked readers for additional information. For some reason, no one thought to ask me, even though I live near the area in question and am known for my research on UFO reports. No need to panic, people. Calls flooded in to Winnipeg radio stations about strange sightings in the Steinbach area are likely related to a bird flu training exercise. The Canadian Food Inspection Agency confirms they’re testing avian influenza outbreak control exercises southeast of Winnipeg, but won’t specify an exact location. Baffled Manitobans were phoning at least two Winnipeg radio stations this morning about seeing unusual activity outside of Steinbach. Again, it’s only a test. Since it was explained and the media carried the story, I didn’t think that the tale had any legs beyond this. I was wrong. As the poster to the other UFO blog noted, he was away at the time and didn’t hear about the story until much later. This does show, however, why the public needs a reliable source of information about UFOs. And why some serious investigation and research should be initiated by science, whether within the physical sciences or the social sciences. I'm available for the next few decades or so, if anyone has some seed money for such a study. The announcement this week of Britain's latest release of UFO files made a bigger splash in the media than I had thought. It made headlines and was the end-of-newscast story on most major TV news programs the day the files were released. And the news anchors were predicable. "Little Green Men?" questioned one. "Martians over England?" quipped another. It was all very amusing. The stock video they used with the story showed an endless stream of mostly fake or explained cases. The images accompanying the online stories were just as remarkable for their inanity. The drawing of the woman who believed herself to be an "alien warrior princess" ran with the text in many online sources. This, despite the fact that the text most often was about one or more pilot UFO encounters, most of which were left unexplained by the Ministry of Defence. Indeed, out of the thousands of pages of UFO reports released this time around, most were dull, ordinary lights in the sky. A few were really good cases like radar/visual or other good observer cases. There was even the remarkable case of the USAF pilot who was scrambled to chase and intercept a UFO over England in 1970, only to crash into the ocean. His body was never found. But heck, let's focus on the handful of silly stories in the files instead. Why didn't the aliens land on October 14th, as scheduled? Australian psychic and channeller Blossom Goodchild has formally apologized for her apparently inaccurate prediction that aliens from the Federation of Light would make a mass landing in Alabama on October 14th. In a vlog on Youtube, she answered questions about why the aliens were a no-show with the simple statement: "I have no idea." Out of the blue, I received a package in the mail. Inside were two CDs and a letter from someone who actually tunes in to a radio show on ghosts and UFOs ("Mysterious Manitoba" on CJUM-FM: www.umfm.com) I do every week with my co-host Chris Reid. Between 1975 and 1977, there was a resurgence in Winnipeg fandom. Michael Hall writes in Schmag #2 (Dec. 1978) that "people would come over at various times, and discuss SF, fandom, and whatever else came along. (Randy Reichardt) decided to try and get a local fan group going, and the WSFS was as good a start as any ..."
What was later called "Decadent Winnipeg Fandom" was basically a loose association of fans who socialized, went to cons, and put out fanzines, including Reichardt's Winding Numbers. Several members of DWF were friends of Randy's from the University of Manitoba; others were met at a talk by Judith Merril in Winnipeg (in 1975 or 1976), or at Chester Cuthbert's home, such as Stu Gilson, and Garth Danielson. I associate Danielson most strongly with his fanzine Schmag, and some running gag or other called "lard fandom". Chris Rutkowski read of the Winnipeg SF Society in 1973 or 1974, in a copy of Other Worlds picked up at the Red River Bookstore; John Robert Colombo says in Years of Light that "Winnipeg has always been a good city for fandom, for it has had more than its share of used-book dealers ... associations, and collectors." Mike Hall was recruited in June '77, he wrote in Schmag, when Randy Reichardt spotted his change of address in Karass (which was then, I gather, North America's main news fanzine, later succeeded by File 770). So about this time, DWF asked Cuthbert's permission to use the name WSFS, which he gave. Under this name they produced a radio show, "Step Beyond", in the late 1970s, sponsored by Peter Shott (co-owner of the Red River Bookstore), and held Uncon in 1978. I should note that Uncon was the first science fiction convention in Winnipeg. I helped organize it, and even baked flying-saucer-shaped cookies for it. 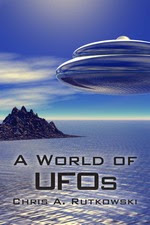 I hadn't been welcomed into DWF at first, mostly because my specialty was UFOs, and I appeared to think that UFOs were "real," as opposed to merely science fiction. But the other members relented after realizing that if UFOs were fictional, then my interest qualified as science fiction. To this day, I study the connection between SF and UFOs. My latest book includes sections about SF, as a matter of fact. And just yesterday, my wife and I visited Chester Cuthbert, who still has an interest in SF and literature. His birthday is tomorrow; he turns 96. I’m sure he will. It was undoubtedly either Formalhaut or another star. What’s most remarkable is that the witness found watching it to be soothing, hypnotic and “connected” to the object of his attention. He even tried “communicating” with the star, and it seemed to cooperate, after half a minute. Many cases like this exist within UFO databases. I don’t know the exact number but since nocturnal lights are about half of all UFO cases, then reports of starlike lights like this one may comprise 15 to 20 per cent of all reports. Not everyone is as enraptured by his or her starlike UFO, but many people see stars and believe them to be UFOs. Note that this does not mean that all starlike UFOs are actually stars. However, the likelihood of a starlike UFO being identified or possibly identified as a star is quite high. What do you give a ufologist for his birthday? What a great weekend. Thanksgiving turkey (I'm Canadian) for my birthday. My family and a few selected friends spent the day at a secluded cabin along Lake Winnipeg. It was raining heavily, but we still managed to trek along the lake looking for beach glass. Then a dash back to the city to help my son on his newspaper delivery route in the rain, then a trip downtown to a film festival to see my daughter's first-ever on-screen movie appearance in an experimental film. I mention all this because although UFO research is my passion, I put it all into context of what really matters: family and friends. Yes, the UFO stuff is important, but only through the support and encouragement of my family, and my encouragement and support of them. This is most relevant today because it's my 50th birthday. Yes, I'm officially one of the "elders" of ufology. When I pause to look back at how ufology has changed over the past several decades, I see both progress and stagnation, if not generational amnesia. Look at what's hot today: A "mass landing" of the Federation of Light alien emissaries tomorrow, possibly over Alabama. That's soooo 50s contactee-like. What about the rift between American and European ufology? Still there. American ufology is still focused largely on Roswell and other nuts-and-bolts incidents on its own soil. European ufology is all over the map; there is an amazing amount of investigative research that fails to even make the American radar screens (probably literally too). I'm currently reading Firestorm, Ann Druffel's biography of James McDonald, who was a topnotch scientist trying to get his stuffed-shirt colleagues to take notice of the UFO phenomenon. The book is a litany of how the USAF and mainstream science completely ignored good UFO cases while getting manipulated by a few "noisy negativists" (as Stan Friedman likes to call them) into making fun of the subject. Letters found in McDonald's files show how debunkers like Philip Klass deliberately smeared McDonald's serious scientific research because they didn't want officials to take him seriously. McDonald committed suicide. because his scientific reputation had been compromise and his work was ridiculed. What had he warned scientists about that they pooh-poohed because of his other UFO-related comments? Depletion of the ozone layer, which in the 1970s seemed absurd. The attitude of mainstream science towards UFOs has remained unchanged. Good research and interesting studies of significant cases are ignored, while the "giggle factor" is played up. It doesn't help when unscientific UFO proponents get onto the evening news spouting silliness that hurts the overall cause. So, nothing has changed, has it? The progress that I see lies in the work of a few selected researchers quietly plugging away, largely unnoticed. But the serious, dedicated ufologists see you. And we know who you are. I raise my glass... to myself, for hanging in there. I raise my glass... to ufology, the behind-closed-doors research program. I raise my glass... to life. Such as it is. We went as a family to the Comic Con at the Convention Centre. It took up the entire main floor, with tables and booths stretching far in every direction. I'm sure that American cons and much bigger, but Winnipeg, this was very remarkable. In the far corner, John Delancie (better known as "Q") was answering fan questions about specific episodes of Star Trek. At a table near the centre of the hall, Lou Ferrigno (the original Hulk) was signing autographs. Surrounding everything were rows and rows of hucksters selling everything from t-shorts to Frankenstein heads and life-size Yodas. This was perhaps the largest SF collectible display in Winnipeg since WorldCon. It took hours of walking just to see everything. I met many people who knew me (but for the life of me I couldn't recall most of their names). Greg Young, formerly of Star Trek Winnipeg but now into Medieval Times was there with his wife. A researcher in medicine was there with his entire family, all dressed as Superman/woman/boy/girl/baby. Tony my masseur was there buying boxes of comics. Tons of people, all with bags of "neat stuff" under their arms. Bets score of the day: a matching Frankenstein monster and Bride of Frankenstein in their original boxes, 12" high each. My wife loved them. Our kids think we look exactly like them. We didn't buy the life-size Yoda. Yes, the news is out. According to Blossom Goodchild, a new-age psychic, aliens will be making contact with us on October 14. "on the 14th day of your month of October in the year 2008 a craft of great size shall be visible within your skies. It shall be in the south of your hemisphere and it shall scan over many of your states." Exactly where, you might ask? "We give to you the name of Alabama." Yes, there you have it: the aliens have chosen not to make contact with Earthlings at the White House, Kremlin or the Vatican, but at the Bragg-Mitchell mansion in Mobile. Thankfully, as the aliens' message declares, they "come in peace." The alien agenda is to give humans the "truth" about our reality. They also note that when they come, "During this time there will be much commotion upon your earth plane." I'll say. October 14th is the day after Canadian Thanksgiving and the date of Canada's Federal election! So, as I go to cast my vote that day, I'll keep a wary eye to the southern sky, then go home and drink a mint julep in tacit acknowledgment that the aliens have everything well in hand. But here's the "value added" part: Sometime next week, the book will go multimedia. What that means is, readers will have the opportunity to go online, and view additional material such as photos, illustrations and other commentary not available in the hard copy. Also, there will be a blog, Q&A, UFO sighting reports and links.